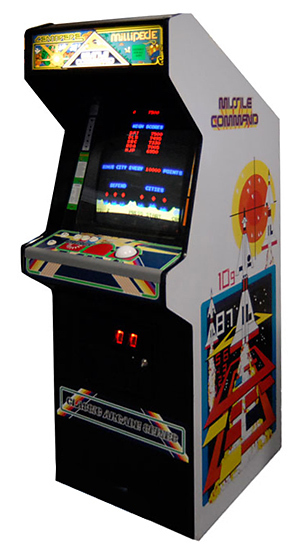 Missile Command is classic arcade video game released by Atari, Inc. in 1980. 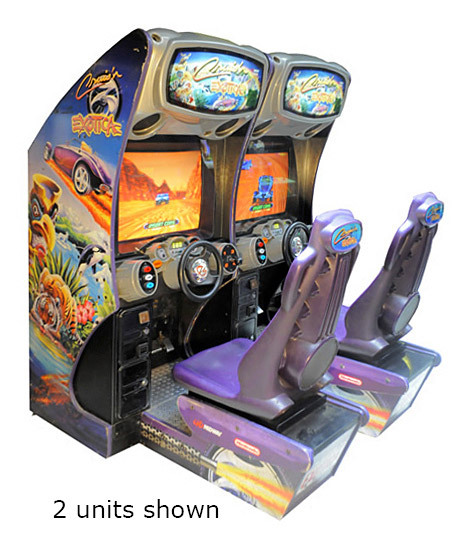 Missile Command classic arcade game is widely considered as one of the most notable games of the era. Missile Command is played by moving a crosshair across the playfield via a trackball and selecting one of three buttons to launch an appropriate counter-attack from one of three atomic missile-launching bases as the player defend the cities under their protection against incoming missiles. Missile Command is played as a series of levels increasing in difficulty, each with a set number of incoming enemy weapons. A level ends when all enemy weaponry is destroyed or the enemy destroys three cities. The game itself ends when all six cities are destroyed, unless the player has scored enough points to earn a bonus city, in which case, when all seven cities are destroyed. There is no way to “win” Missile Command; the game just continues with faster and more deadly incoming missiles for as long as the player can continue to survive.